Here are Your Angel Messages by Doreen Virtue for April 6 – 12! Filmed in her organic garden, Doreen’s all casual as she gives us messages from the nature angels: You’ve released a lot of fear, so now you’ll be receiving a lot of ideas which involve you taking action. Don’t let yourself get overwhelmed. Take it one step at a time, do research, and release any remaining distractions. Most of all, have patience with the process of growing the seeds of your ideas into a harvest. It will happen with your steady progress. She is wearing an organic hemp top, and organic jeans, because non-organic cotton is the largest GMO crop. 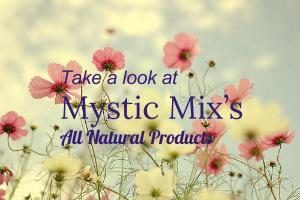 To connect with our amazing healers here at Mystic Mix click here!